The launch of the BRICS New Development Bank signals deepening ties among the bloc's member countries, the executive director of Russian National Committee on BRICS Research told Sputnik on Monday. STRASBOURG (Sputnik), Daria Chernyshova — BRICS unites five world economies: Brazil, Russia, India, China and South Africa. In July 2014, BRICS leaders approved the establishment of the New Development Bank. "It is a very important signal of our decisiveness to go on with BRICS process," Georgy Toloraya said. "So this is the question of principle." Toloraya also underlined that despite a tough economic situation in Russia, Moscow is determined to deliver on its obligations in establishing the bank. On April 16, Russian Finance Minister Anton Siluanov said the New Development Bank would be launched prior to the groups's summit in the Russian city of Ufa on July 9-10. Russia is currently presiding at the group, taking over from Brazil earlier in April. Toloraya also noted that the New Development Bank of BRICS countries and the China-led Asian Infrastructure Investment Bank (AIIB) will exert pressure on an existing financial architecture, including the World Bank, although they do not pretend to substitute it. "Both the New Development Bank and the AIIB have their advantages and have the niche of their own. 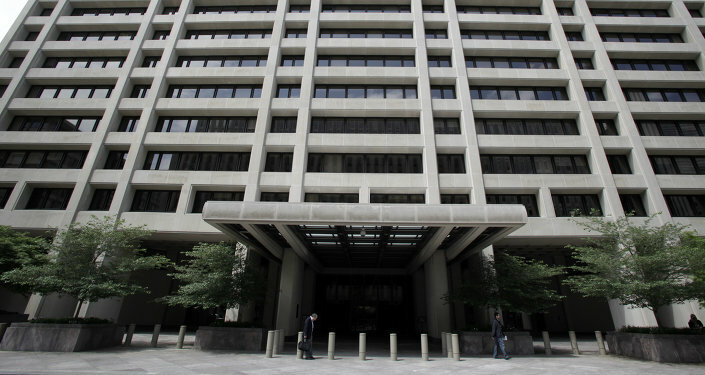 It brings some competition, it brings a new factor of pressure onto the World Bank and its subordinate institutions, so this is a positive development for the borrower, for the developing economies," Georgy Toloraya said. Toloraya explained that at the early stages the New Development Bank will focus on the project areas which are not interesting to the World Bank, such as projects in the developing world and infrastructure projects in BRICS countries. Comparing the AIIB and the New Development Bank, Toloraya underlined that the New Development Bank is based on the principle of equality, and potentially has more influence than the AIIB, controlled by Beijing. On July 15, 2014, the BRICS member countries signed an agreement to establish the $100-billion New Development Bank, formerly referred to as the BRICS bank, and a reserve currency pool set at $100 billion. Russia will contribute $18 billion to the pool, along with India and Brazil. China is expected to contribute the largest share of $41 billion, with South Africa chipping in the remaining $5 billion. The AIIB is an international financial institution proposed by China that aims to invest in infrastructure projects in the Asia-Pacific region. The bill establishing the bank was signed by 21 countries in October, 2014. China announced on March 31, 2015 that Russia was accepted as one of the founding members of the AIIB.